This is a truly beautiful pen. For many years Cross has made its way through the pen world as one of the highest quality pen makers. Its pens carry a distinctive elegant and classic style and this one is no exception! 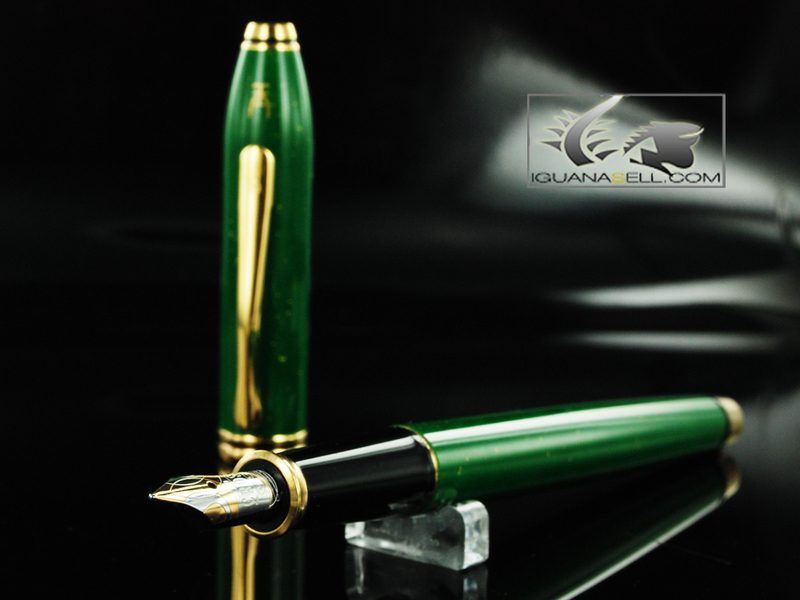 The Cross Townsend Jade Fountain Pen is a fine model with a strong and captivating green color. 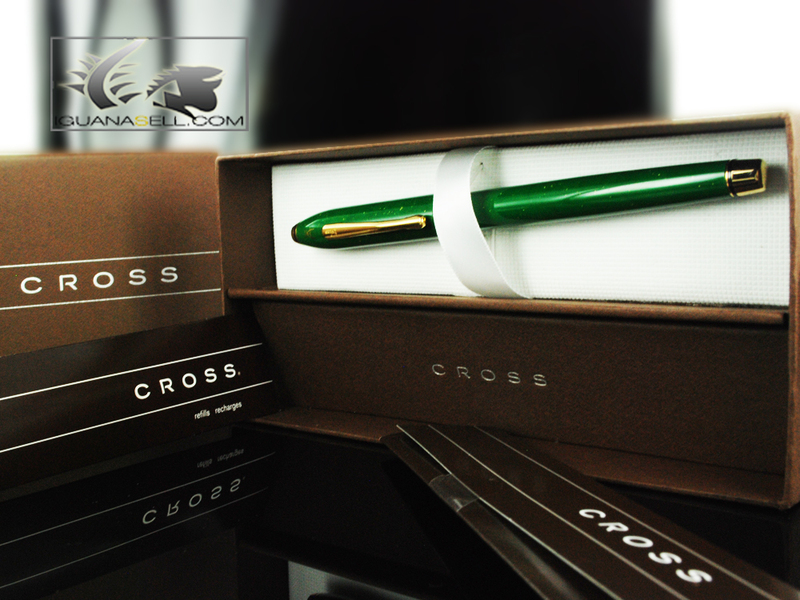 It carries a wonderful two-colored 18K gold nib with “Cross” engraved on it. As all Cross pens, the nib writes smoothly and elegantly decorates your writing as you move along the paper. The ink is loaded by converter or cartridges from the own American firm. 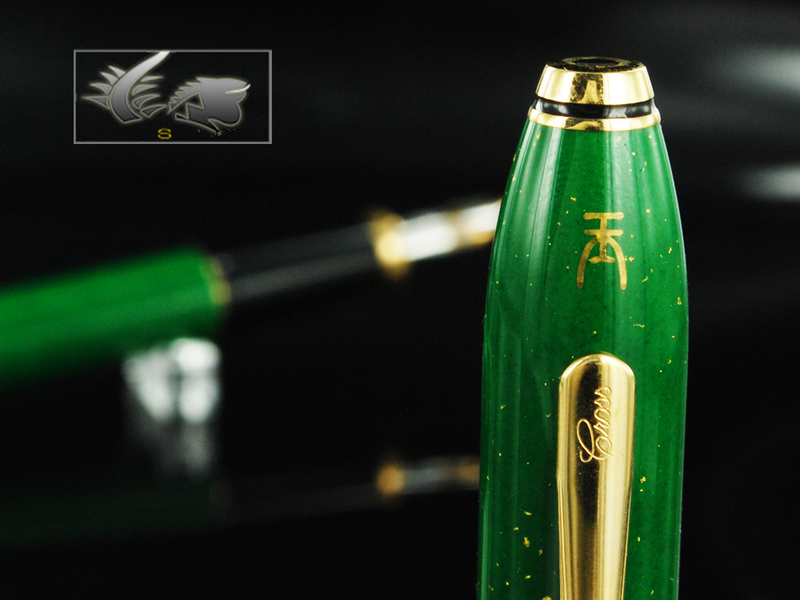 The fountain pen is finished in jade colored lacquer and has tiny 22K gold flakes on the barrel and cap. The trims are gold plated and the top of the cap carries Cross’s distinctive black dot. The Townsend line is enhanced and improved by this wonderful fountain pen. It’s now available at Iguana Sell and, as always, for a great price! Enjoy this pen and don’t miss this great opportunity!